There are a couple of great opportunities to hear more about Inside the Apple this weekend. On Saturday morning we will be interviewed on WFUV 90.7 FM, Fordham University's public radio station. We'll be appearing on their award-winning New York City program "Cityscape" hosted by George Bodarky. Each week, Bodarky highlights an interesting facet of New York from history to culture to public affairs. We were interviewed in the studio about the book and had a chance to talk about everyone from William "Boss" Tweed to Robert Moses and about some of our favorite places in the city. The show will air at 7:30AM on Saturday, May 30th. However, if you don't live in New York or don't want to get that early on a Saturday morning, it will also be available as a podcast. For more information, visit http://www.wfuv.org/news/cityscape.html. Then on Saturday night and early on Sunday morning, we will be featured on C-SPAN2's "Book TV" program. 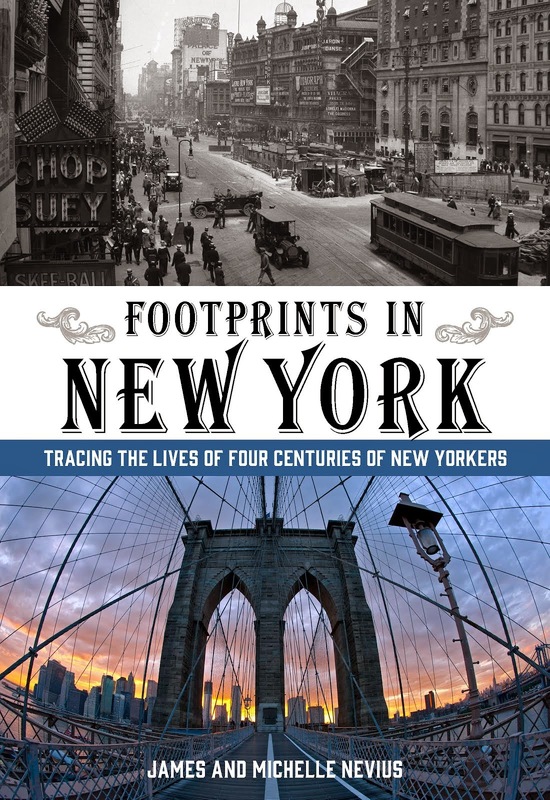 They are broadcasting the lecture we gave in mid-April at the New-York Historical Society; the talk features some of the stories from the book that specifically relate to the society, to New York's 400th birthday, or to the Upper West Side where the lecture took place. The show is about an hour long and includes a lively Q&A. The program will be broadcast twice. The first airing is on Saturday, May 30, at 11:00PM Eastern time. Because C-SPAN2 shows things "live," that means it is airing at 10:00PM Central, 9:00PM Mountain, 8:00PM Pacific, 7:00PM Alaska, and 5:00PM Hawaii.